Much of the information coming out of Iran is in the form of footage uploaded to the Internet without the benefit of any description or explanation. Each installment in the Close-up series provides an in-depth analysis of a single video or a series of videos covering one event. 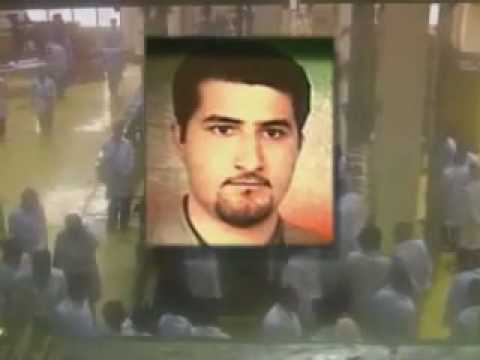 The Islamic Republic's state television broadcast a video on its evening news on Monday, June 7, 2010, which it contended was made by Shahram Amiri, an Iranian scientist who went missing on June 3, 2009, and was obtained through 'special methods' by the Islamic regime's intelligence agencies. The Islamic Republic claims that Amiri is a scientist who does not work for the country's nuclear program and that he was abducted in Medina, Saudi Arabia, by the United States while he was on a pilgrimage. 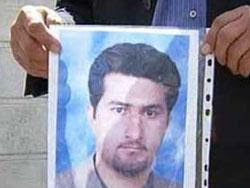 The US has declared that it has no information concerning Amiri, although ABC News reported in March 2010 that Amiri was a scientist working in the IRI's nuclear program, and that he had defected to the US and was cooperating with the CIA. 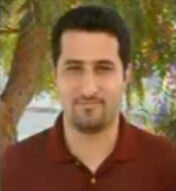 The grainy film, apparently shot on a computer, shows a person alleged to be Amiri saying that he is currently in the US, that he was abducted by the US, and that he had been tortured in order to get him to tell an American news outlet in a televised interview that he had handed over crucial secret information about the IRI's nuclear weapons program. 8 hours later, a second film, this one much more polished, appeared on the Internet, showing the same person. This time the person alleged to be Amiri said that he had not been abducted, that he was free and safe in the US, and that he planned to obtain a doctorate in an American institution. The veracity of the films, their source, and whether or not they are a part of a disinformation campaign, are unclear. In the name of God. Today is Tuesday, Farvardin 17, 1389, which corresponds to April 5, 2010. I am Shahram Amiri, expert and researcher at Malek-Ashtar University of Technology. I am currently in the city of Tucson, state of Arizona in the United States. On Khordad 13, 1388 (NB June 3, 2009) in an operation coordinated between the terroristic and abduction teams of the American intelligence agency CIA and Saudi Arabia's Istikhbarat, I was abducted from Medina Munnawarah (NB alternate name of Medina, Saudi Arabia, which means enlightened city). 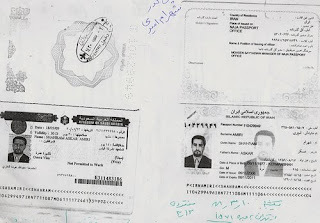 They transferred me to a house in an unknown location in Saudi Arabia. They injected me with a syringe which made me unconscious in this house. When I regained consciousness, (garbled) in an American wide-body aircraft going towards the United States. 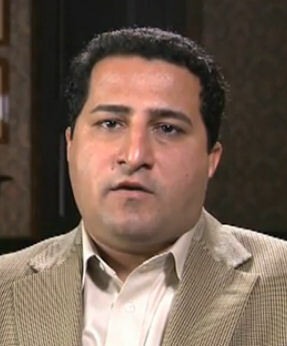 During this time, what did the Americans want from Shahram Amiri, this Iranian researcher? Over the eight months that I was kept in the United States, I was subjected by interrogation teams of the American intelligence agency to the most severe torture and psychological pressure. The main goal and the main pressure that these interrogation, in reality torture, teams exerted on me... Their goal was, they wanted this from me, that I claim, in a televised interview with an American news outlet, that I am an important person in the Iranian nuclear program and that I requested asylum from the United States. And that in the course of requesting asylum, I had handed over important evidence and documents from my country, along with a laptop containing secret information on Iran's nuclear weapons program. Why do the Americans want to force Shahram Amiri to falsely claim that he has important information about Iran's nuclear program? The main goal in these developments is to put political pressure on the Islamic Republic of Iran and to condemn... to prove the lies that the United States continuously utters about the Islamic Republic of Iran. I ask organizations and departments which are concerned with human rights and are active in seeking freedom for captives to pursue my case. I have truly been abducted unjustly from a third country and brought to the United States. I ask that you put all your efforts and energy into obtaining my freedom so I may return to my dear homeland, Iran. I'd like to say a few words to my dear family. If they see my speech some day, if they hear my final words, I ask them to please be patient. The words of this Iranian researcher which were obtained by Iran's intelligence bodies through special methods are the clearest evidence of his abduction by the United States, with the cooperation of Saudi Arabia's government. This film also constitutes unique proof that the United States' claims about Iran's nuclear program are no more than worthless fabrications. The United States must now answer for this abduction. I would like to express my greetings and gratitude for the opportunity given to me to be able to speak directly to the international community. I, Shahram Amiri, citizen of the Islamic Republic of Iran, am in the United States and intend to continue my studies in this country. I am free here and assure everyone that I am safe. My aim in today's comments is to put an end to all the rumors and accusations concerning me in the past year. I am an Iranian and have not taken any action against my homeland. My hope is to see Iran and its people at the summit of progress and success. I am not a political individual and have no particular interest in the political affairs or positions of any government or country. I do not believe in weapons research and have no experience or knowledge in this field. I am a simple health physics researcher who is studying and researching in the field of protection against radiation. My plan, while I am in the United States, is to obtain a doctorate in health physics in order to help improve the health and safety of Iranians and the international community. After completing my studies, if the conditions for my safe travel are ensured, I hope that my studies here will be beneficial for Iranians and international academic and scientific circles. During the period I have been engaged in scientific and academic activities, I have really missed my dear wife Azar and my son Amir Hossein. I know that the government of the Islamic Republic of Iran will take care of and protect my family. I want them to know that I never abandoned them and that I will always love them. I hope to see them again and to join them after the completion of my studies. I ask everyone to stop giving the wrong image of me. What follows is my personal analysis, which is obviously not infallible. I must add that I believe that no intelligence service, including the CIA, is above carrying out such an abduction and that Amiri may very well have been taken to the US against his will. But I also believe that the evidence strongly suggests that both videos were made by the same intelligence service, most probably the intelligence unit of the Islamic Revolutionary Guards Corps, in order to put pressure on the US and to discredit allegations made against the Islamic Republic's nuclear program. If this is the case, then either the person in the videos is Amiri, he was never abducted by anyone, and the whole affair was a disinformation operation from the start or the person in the videos is a lookalike employed by the IRGC. I lean towards the second option. I encourage readers to freely comment at the end of the article. The fiasco that ensued -- Jalili first accepted the terms put forth at the Geneva 2 Talks, but then Leader Ali Khamenei backtracked -- indicate that there may have been serious differences in the country's senior leadership at the time. Ali Alfoneh, an expert on the IRGC at the American Enterprise Institute, told the Voice of America that Jalili would not have been able to agree to the Geneva proposals if he had not received the express acquiescence of Khamenei. He surmised that the IRGC, which is in charge of the nuclear program, had subsequently convinced Khamenei that he should not accept the terms of the agreement. Could the Amiri affair have been designed by hardliners to derail any nuclear agreement? 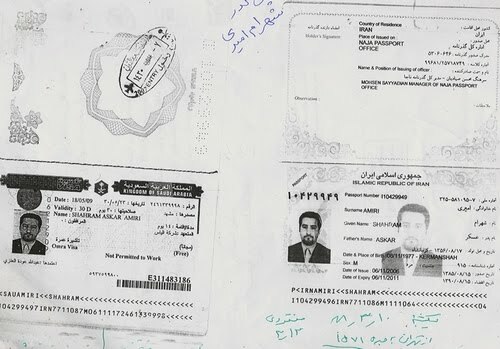 Could part of the intelligence services, particularly the intelligence unit of the Revolutionary Guards whose power has increased at the expense of the Intelligence Ministry, have organized a fake disappearance? Not only would such a plan have been useful in sidelining those in the regime who wish to reach some sort of nuclear settlement (and they certainly exist), but Amiri could also be pulled out at an opportune time, in a grainy video somehow secreted out of an American dungeon for example, to discredit accusations against Iran's nuclear program. This week, with Russia's hardening stance towards the Islamic Republic and UN sanctions looming in the near future, appears to be just such an opportune time. Is the man in the videos Shahram Amiri? 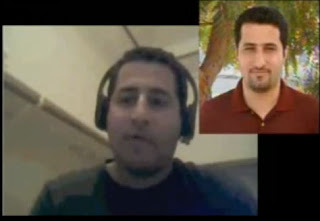 It is particularly difficult to judge whether the man who appears in the videos is the same man whose photo has been presented by the Islamic Republic as Shahram Amiri. First the easy part. I think it is clear to everyone that both videos almost certainly show the same man. So the best image, one from Video 2, can be used as a point of comparison. The following are the very few photos which have been made public and I managed to find. If readers have located others, please send a file or a link. Next, a batch of three photographs which are really variations of the same shot. Strangely, although the Islamic Republic has publicized the case of Amiri for close to a year, it had refrained from issuing any other image of the scientist except this low-quality shot until last night. Photo 1A appears stretched and Photo 1C seems compressed. Photo 1B is the most likely original portrait. My initial reaction is that any customs officer receiving a passport bearing the photos below from the gentleman in Video 2 would take a much closer look. Biometrics is a complex science and I am not an expert by any means. However the inconclusive evidence seems to suggest that the man in the videos more strongly resembles the man in Photo 2 than the one in Photo 1B. That state media decided to introduce another alleged photo of Amiri (Photo 2), instead of the one which had been used thus far (Photo 1B), provokes some suspicion. Tortured and placed under psychological pressure for eight months? The man in video 1 claims that after his abduction he was taken to the US, where he was subjected 'to the most severe torture and psychological pressure' for 8 months. That means he was mistreated until early February, allegedly two months before the video was made. Is it likely that such a person would have gained so much weight? Is it also likely that such a person would have access to a computer and an unsupervised private room two months after enduring such hardship? And if he did, would he also be given a headset with a microphone? Halfway through Video 1, the man explains why the US wanted him to say certain things in a televised interview: 'To put political pressure on the Islamic Republic of Iran and to condemn... to prove the lies that the United States continuously utters about the Islamic Republic of Iran.' Would a captive give political analysis of this sort? The statement appears contrived and manufactured to play well on the evening news in Tehran. In fact, it is somehow the exact conclusion given in the voice-over at the end of the footage. How does the man in Video 1 know that agents of the Saudi intelligence service helped the Americans abduct him? Because they spoke Arabic? Just like the analysis mentioned above, this detail appears incongruous and designed to play well to audiences. It also places pressure on a regional rival of the Islamic Republic and ally of the US. The man in Video 1 begins by giving the date: 'Tuesday, Farvardin 17, 1389, which corresponds to April 5, 2010.' The 17th of Farvardin was indeed a Tuesday, but it corresponded to April 6, not 5. Wouldn't a captive being held in the US be more familiar with the American date rather than the Iranian one? Details of the actual abduction? The man in Video 1 provides many details -- I'm an expert AND researcher, it was a wide-body aircraft that took me to the US... -- but he fails to give the first information that one would expect from a victim of an abduction: The actual place and time and manner he was taken. Was it at his hotel? On the street? In a restaurant's lavatory? Did four men jump out of a car? Video 2 so obviously looks fake that it is laughable and seems designed to make the viewer question its veracity. The decor desperately screams out that it is in the US. All that's missing is a fireplace and prints of Sedona, Arizona, on the wall. The globe is turned so that the US is pointing towards the camera. The man hams it up to the camera to appear uncomfortable and glum, regularly swallowing hard, his eyes darting in an excessively obvious manner to the side every now and again to read what we are expected to understand is the text prepared for him. This is supposed to help the US? Why would the CIA want the man in Video 2 to say that he has no experience in nuclear weapons research and that he works in the field of health physics? This would confirm what the man says in Video 1. And why would the CIA want him to say, 'I thank and express gratitude to the international community for its correct understanding and support for Iran's positive advances and its proud people's achievements,' when the statement sounds like an Ahmadinejad speech extolling Iran's advances in nuclear research? Why would the CIA want him to say he is pursuing a doctorate in health physics when this can easily be verified by checking the limited number of institutions which offer doctorates in that field? And wouldn't every reasonably intelligent person wonder where and when he had obtained his student visa? I don't suppose everyone at the CIA is a genius, but I expect that they could have come up with a more convincing story that could not be debunked so easily. Not to speak of a better video that did not appear so fake. And finally, a threat to the real Amiri? 'During the period I have been engaged in scientific and academic activities, I have really missed my dear wife Azar and my son Amir Hossein. I know that the government of the Islamic Republic of Iran will take care of and protect my family.' No comment.